Toshiba launches LED TVs with built-in Blu-ray and iPlayer access | What Hi-Fi? Models range in size from 19- to 42-inches and include multiple HDMI inputs, a USB input and Freeview tuner as standard, with some offering Freeview HD, access to iPlayer and integrated Blu-ray players. 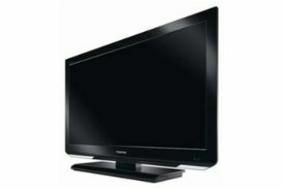 The Regza range of TVs is headed by the RL Series, which features TVs in 32, 37 and 42in sizes. Boasting full HD resolutions, edge-LED backlights, Freeview HD tuners, access to BBC iPlayer and WiFi connectivity, they're the best-specified models in the new range. Next in line are the Regza DB and DL, the former offering an integrated Blu-ray player and in 32 and 42in sizes, the latter including a DVD player and coming in 19, 22, 26 and 32in forms. As you might expect, the DB range has a full HD resolution screen, while the DL settles for 1366 x 768. Both offer Freeview tuners, twin HDMI inputs and USB and PC connections. Next in line is the Regza HL, offering a 1920 x 1080 resolution, twin HDMI inputs and Freeview tuner, but no internet TV or integrated disc player. It's available in 32 and 42in models. Finally, the entry-level range is the appropriately named EL series. Available in 22, 26 and 32in sizes, the EL series has an edge-LED backlight, a 1366 x 768 resolution, Freeview tuner and twin HDMI inputs. Look out for our Toshiba blog for pictures of all the models and prices just as soon as we have them.